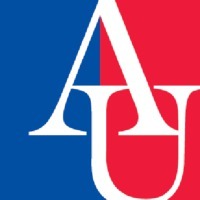 Review: American University (AU or American) is a Methodist private liberal arts and research university in Washington, D.C. The university was chartered by an Act of Congress on December 5, 1892 as "The American University", which was approved by President Benjamin Harrison on February 24, 1893. Roughly 6,500 undergraduate students and 6,000 graduate students are currently enrolled. 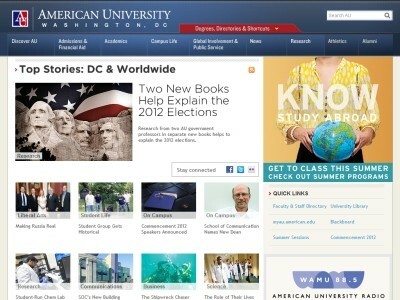 AU is a member of the Consortium of Universities of the Washington Metropolitan Area. A member of the Division I Patriot League, its sports teams compete as the American University Eagles. American's main campus is located at the intersection of Nebraska and Massachusetts Avenues at Ward Circle in the Spring Valley neighborhood of Northwest Washington. The area is served by the Tenleytown-AU station on the Washington Metro subway line in the nearby neighborhood of Tenleytown. Location & access map for "American University"